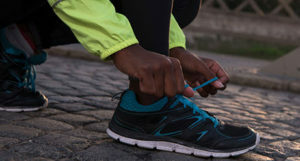 Keeping You Active is Our Goal. The doctors at The Bay Area Foot & Laser Podiatry Group have been serving the Bay Area for over 35 years. 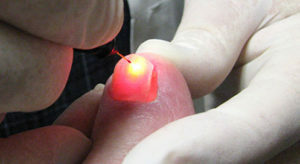 They were one of the first to introduce the PinPointe Laser to treat toenail fungus as well as the new MLS Laser therapy to treat foot and ankle pain, and are using advanced stem cell therapy for treating arthritis , heel pain, and other conditions. Dr. Wolpa and his staff have performed over 10,000 successful laser procedures for toenail fungus making him the most experienced doctor in California (source PinPointe 2012) for this new treatment. He is the past Chief of Podiatry at Alta Bates-Summit Hospital, a position he held for 10 years. Dr. Wolpa is Board Certified in Foot and Ankle Surgery and has authored books, articles, and appeared on radio and television, most recently ABC News. The Bay Area Foot & Laser Podiatry Group feels that our experienced doctors and staff are the most qualified to assist you with your foot and ankle needs. We treat all types of foot and ankle problems such as bunions, ingrown toenails, and sports injuries. We are proud to be the # 1 Provider in California for toenail fungus with over 10,000 successful laser treatments and are so confident that we can help eradicate your toenail fungus that we offer a guarantee! We provide non surgical alternatives for many foot conditions such as heel pain and tendinitis. We provide new stem cell injections for chronic injuries and pain. We have 2 conveniently located offices in Berkeley and Walnut Creek. We are proud to be the #1 provider in Northern California for this treatment. "I am very pleased with the care that I have received from Dr. Wolpa and the Berkeley Foot Clinic. I would recommend the practice with no reservations." "I am a long time patient who appreciates the consistent care I receive. My orthotics are great!" "Dr Wolpa rocks! I have NEVER had to wait in his office, they are so respectful of my time and I appreciate that!! His staff is courteous and professional and Dr W is so knowledgable and caring. Can't say enough great things about this practice!!" "I had a great experience with Dr. Wolpa who helped me get back on my feet after a bad flare of recurring plantar fasciitis. With my job, I'm consistently up on my feet moving around so I needed relief fast. He had great suggestions on how to relieve the pain and heal the cause of the problem with stretches, a new laser treatment I haven't hear of, and custom orthotics. 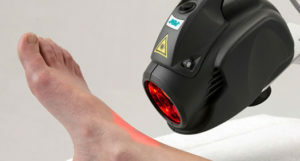 I chose to do a few sessions of the "MLS laser", which was surprisingly helpful speeding up my usual recovery time. I haven't had a flare in 3 months! Thank you Dr. Wolpa!" "I have been a patient for over 15 years and now my son, daughter in law and entire family are satisfied patients. Dr. Wolpa is patient and painstaking especially with my old feet 75 plus. His staff is excellent if you need to get in NOW- He has made orthotics for all of us and every couple of years we get new ones. I am so satisfied with his care. He even will check the shoes I am wearing or hope to purchase. Try him, you will love the nice feet you have. Most sincerely, Lillie Braudy Berkeley"
"I went to dr. Wolpa about 2 months ago because I was having the worst pain in my toe when I walked. Making an appointment was very easy and he got me in the same day I called. I had all most no wait when I got there and after 20 mins of conversation and x-rays had a good understanding of my issue. The problem did require surgery and Natalie was able to get me schedualed, help with any billing issues, and walk me through any questions I had. I had a great experience and recommend him to anyone." 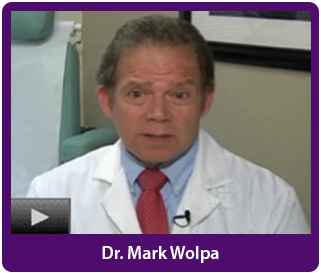 "I saw Dr. Wolpa years ago for a in-grown toenail and actually passed out during the procedure. He and his office were fantastic, including reviving me with smelling salts and plying me with chocolate. Last year my 10 year-old saw Dr. Wolpa for inserts and Dr. Wolpa was fantastic with both the patient and his younger brother. His staff is pleasant, office is clean, and Dr. Wolpa is friendly and efficient." "I went to Mark after I tore my Achilles Tendon. He was super nice and helpful and very approachable. He scheduled a surgery soon after diagnosing me and his staff are absolutely top-notch. They are all extremely professional and organized and helpful throughout the process. He works out of the Berkeley Foot Clinic on Mon, Tue and then works out of a Walnut Creek location on Thu and Fri."